The secret to succeeding in a disruptive world. When CEOs think about the supply chain, it's usually to cut costs. But the smartest leaders see supply chain and sourcing for what they can be: hidden tools for outperforming the competition. Steve Jobs, upon returning to Apple in 1997, focused on transforming the supply chain. He hired Tim Cook-and the company sped up the development of new products, getting them into consumers' hands faster. The rest is history. Across a range of industries, once-leading companies are in trouble: Walmart, IBM, Pfizer, HP, and The Gap to name a few. But others thrive. While competitors were shutting stores, Zara's highly responsive supply chain made it the most valued company in the retail space and its founder, the richest man in Europe. The success of TJX, Amazon, Starbucks, and Airbus, is fueled by supply chain and sourcing. Showcasing real solutions, The Supply Chain Revolution will: Improve customer satisfaction and increase revenue * Make alliances more successful * Simplify and debottleneck the supply chain * Boost retail success by managing store investment * Drive excellence Technology is disrupting business models. Strategies must change. The Supply Chain Revolution flips conventional thinking and offers a powerful way for companies to compete in challenging times. As manufacturing becomes more global, supply chains are becoming increasingly critical. What is more, supply chains are getting elongated with the separation of design and manufacturing from customers and markets. 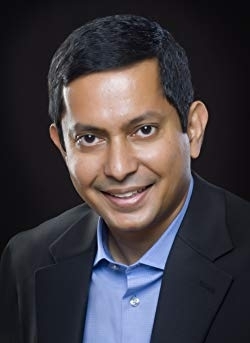 In The Supply Chain Revolution, author Suman Sarkar highlights how fast-pace companies are becoming excellent at sourcing and building business alliances. Sarkar goes on to explain this development using recent examples of innovation at companies including Zara, Apple, Boeing, Airbus, Starbucks, TJ Maxx and Amazon. Getting to the market, whether a service or a product, requires an intimate knowledge of customers and their needs. Excellence in supply chain management has helped many innovative companies to expand their product portfolio, gain market share or develop totally new markets. How has the supply chain evolved in recent years? Why should management integrate the supply chain into strategy decisions? How can supply chain excellence become a competitive advantage for companies? What is superior management of the supply chain? Why management pays little attention to sourcing and the supply chain? How can focusing on demand while ignoring delivery lead to unhappy customers? What is demand driven planning? How do apparel maker Zara and device maker Apple Inc use the supply chain to their advantage? Why did Boeing lag when Airbus moved ahead with superior supply chain management? Suman Sarkar is writing about supply chain management and sourcing because these are his passions. With more than 20 years of international consulting experience, Suman has a proven track record delivering an innovative and strategic approach to the supply chain and sourcing practice with outstanding results. The author understands the power of creativity that will be unleashed if businesses can harness the talent they already have in-house. Suman is a Partner with Three S Consulting. He holds a Bachelor in Mechanical Engineering from IIT Kharagpur, India and Masters in Industrial Engineering from NITIE, Mumbai, India, graduating at the top of his class at both schools. Suman also has an MBA from UCLA in Strategy and Finance.